On 12th July, 2018, H.E. 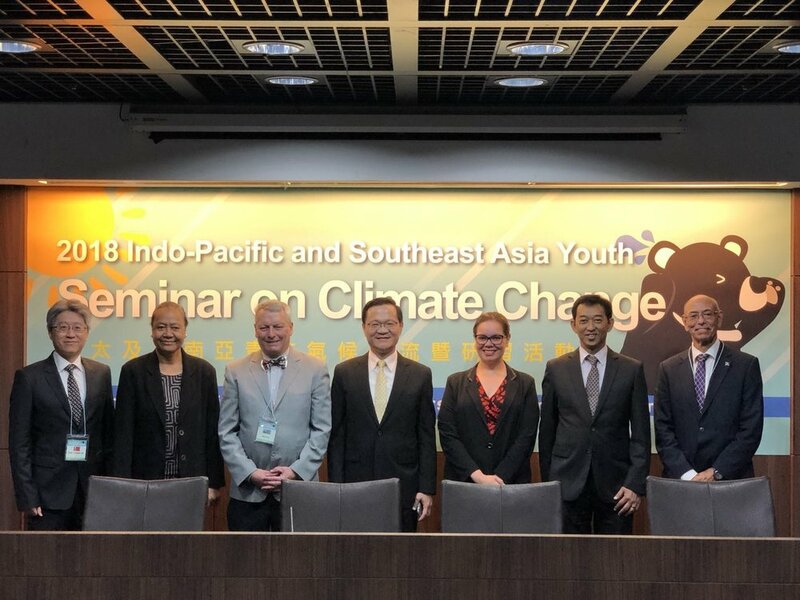 Limasene Teatu was invited to "2018 Indo-Pacific and Southeast Asia Youth Seminar on Climate Change" Opening Ceremony. Director-General, Department of Treaty and Legal Affairs, MOFA Mr. Lincoln Yao-Chun Ting delivered the opening speech to elaborate Taiwan's stance and encourage people to aware the issues on climate change. Ambassador for Climate Change and Environment, Government of Tuvalu Dr. Ian Fry also participated the seminar as the lecturer. H.E. Limasene Teatu with Dr. Ian Fry, Director-General Mr. Lincoln Yao-Chun Ting, NZCIO Deputy Director, Tupe Solomon-Tanoai, Deputy Representative and Director of Economics, Anwar Udzir, and Mr. Carlos Fuller. H.E. Limasene Teatu was honor to experience the inspiring lecture from Dr. Ian Fry on the topic of "A Negotiator's Understanding of the Complications for Indigenous People's Engagement in The UN Framework Convention on Climate Change" with trainees from 10 countries.